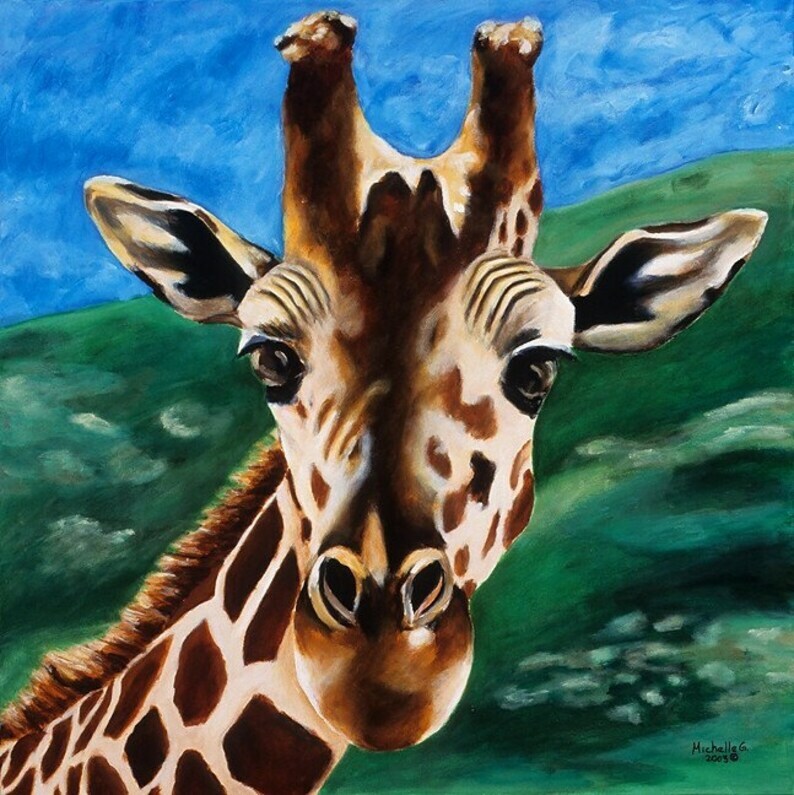 This is a limited edition earth toned, green and blue giclee of the painting titled Hello. 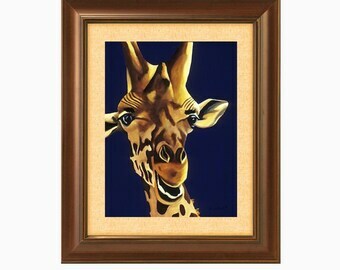 This giraffe would be the perfect artwork for your child's room, or zoo, safari or animal themed nursery. It has been enhanced and signed by the artist. 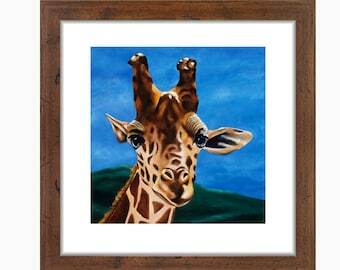 This limited edition giclee is printed on canvas and stretched onto a frame. 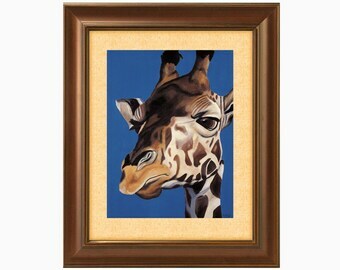 Because this is a gallery-wrapped giclee, there is no need to frame this piece. 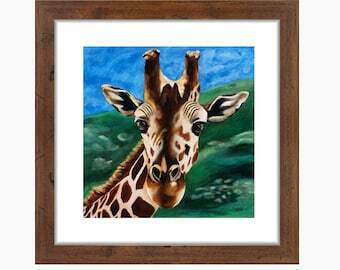 NOTE: All limited edition giclees include artist enhancements. So there is additional time to create the enhancements, let them dry and then varnish the canvas. Please allow an additional 10-15 days for these to be custom made for you. 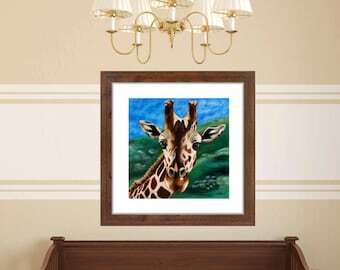 ★ This made to order giclee is created on gallery-wrapped canvas. It is painted on all four sides, so there is no need to frame. ★ All limited edition giclees include artist enhancements. So there is additional time to create the enhancements, let them dry and then varnish the canvas. Please allow an additional 10-15 days for these to be custom made for you.